The UN’s annual 16 days of Activism campaign took place from 25 November, the International Day for the Elimination of Violence against Women, until 10 December, Human Rights Day. Throughout the 2018 campaign, Oxfam’s Empower Youth for Work (EYW) teams in Pakistan, Bangladesh and Ethiopia held events and debates to raise awareness of the need to end gender-based violence (GBV). EYW’s goal is to improve the economic and social empowerment of young women and men living in rural areas of these countries. The program recognizes that GBV prevents women from fully realizing economic and other opportunities, which is why GBV must be tackled if young women are to be truly empowered. During the 16 days of Activism, communities were encouraged to take part in activities and discussions about GBV and how to prevent it. One of the aims of the campaign is to give women the opportunity to raise their voices against the violence, harassment and fear that they experience based on their gender. 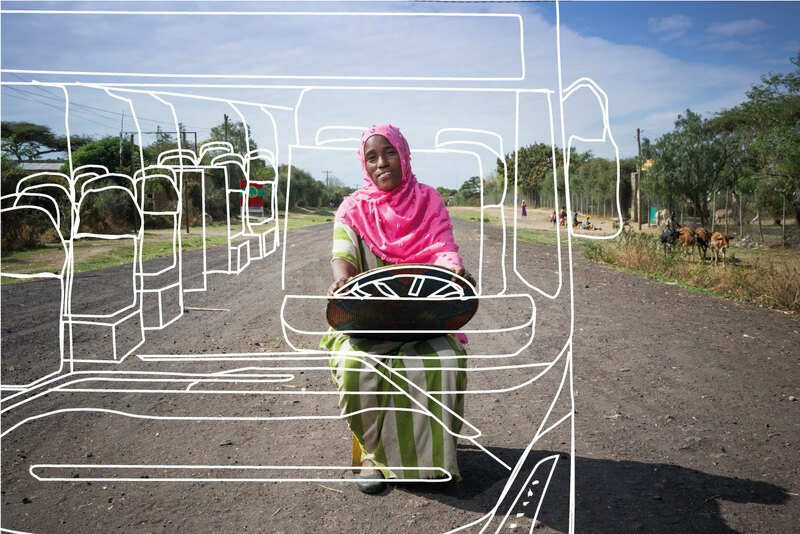 A vision of gender justice lies at the heart of everything Oxfam does. By engaging local communities and making them aware of gender issues, Oxfam’s Empower Youth for Work program and its partners hope to empower women economically and socially, and to show them that they have the right to be heard. Pakistan’s campaign focused on raising awareness of harassment of women in public places and on public transport. The slogan for the campaign was #FreefromFear, with a vision of a society where women have the freedom to live their everyday lives without fear of violence or sexual harassment. The campaign collaborated with a feminist artist, whose artwork helped to create an engaging online campaign. Art was also used to involve young people, through an ‘Art for Activism’ competition. The winners’ work will be showcased in an exhibition on International Women’s Day on 8 March 2019. 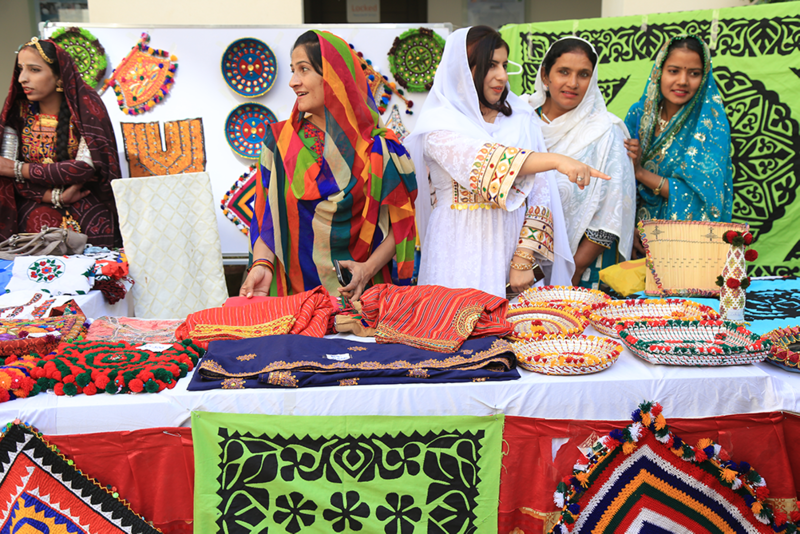 The 16 days of Activism in Pakistan culminated with a ‘Young Girls Festival’ in Jamshoro, which featured inspirational speeches and stories – including one by a EYW female youth leader – as well as colourful handicraft stalls featuring products made by young women entrepreneurs, and a theatre performance on gender and youth issues. During the festival, EYW launched its new Youth Innovation Hub, which will provide young women and girls with a safe space where they can discover and explore their business potential, and access economic opportunities without fear of violence. In Bangladesh, the campaign featured discussions on the importance of education in reducing GBV, the need to provide economic opportunities for women, and how empowering women can positively affect the whole community. Community leaders, youth, women and men took part in the campaign events, raising awareness of the importance of mutual respect and creating a safe environment for women. Individual EYW groups also created their own drama shows, portraying various situations where women might face mistreatment in their everyday lives. This creative approach helped to start a conversation and to bring the issue of GBV into the open. 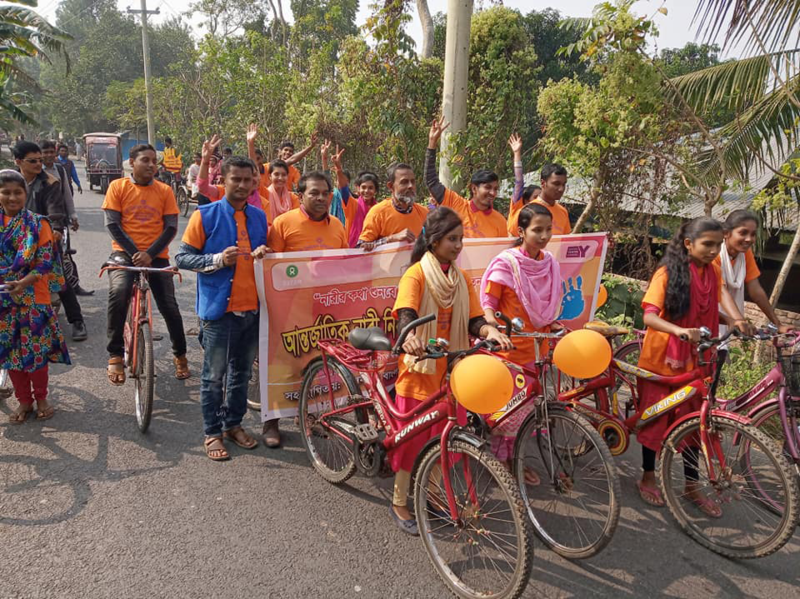 The groups also held a bicycle rally through the streets to call for an end to violence against women and spread the message to other young people. In Ethiopia, the main message of the 16 days of Activism was ‘End Gender-Based Violence in the World of Work’ – raising awareness of the need for equal workplaces where women can go about their work without fear or threat of violence or harassment. 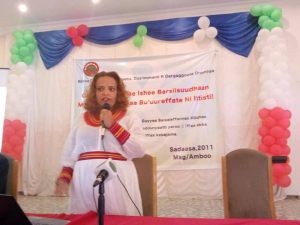 The campaign included a special three-week radio show, where gender issues were discussed with officials from around Oromia region. Every week, the show featured new interviewees and specific calls for action. During the first week, the show handled the sensitive topic of sexual assault against minors, and included discussions with the Vice President of Oromia regional state’s Supreme Court, the Bureau Head of Labor and Social Affairs, and a social work professor. Calls for action included more focus on and protection for the socio-economic situation of children and minors, and more support for women’s economic empowerment. The second week explored the practical enforcement of existing laws on GBV. Interviews were held with the Vice General Attorney of Oromia and a member of the region’s police commission about services for survivors of sexual violence. Calls for action were for the police to focus on urgent calls for help. In the third week, the President of Zonal Courts was interviewed. Issues raised as requiring more attention were better laws to prevent GBV, and the need to gain more support from the local community in the fight against sexual and gender-based crime. As a part of the 16 days of Activism in 2018, Oxfam’s EYW teams gathered stories from local women in rural areas. In these personal testimonies, young women talk about their dreams and ambitions and the obstacles preventing them from reaching their goals. You can read their stories here.